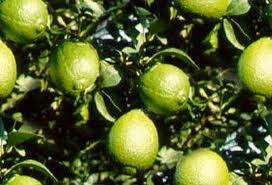 Lime oil (citrus aurantifolia) has antiviral and anti-bacterial properties. Lime essential oil is cold-pressed from the rind of ripe lime - the fruit of a small evergreen tree native to many tropical and sub-tropical regions of the world. It is a yellow/clear liquid with a fresh, sweet citrus aroma, which is considered uplifting and refreshing. Like essential oil of Lemon, Lime oil is cooling and cleansing. Lime oil may be used interchangeably with lemon oil, though it certainly has its own characteristic flavor and aroma. Lime is also a sharpener of the mind, bringing clarity of though and focused concentration. Lime oil may be helpful with acne prone skin and is a delightful addition to creams and lotions.